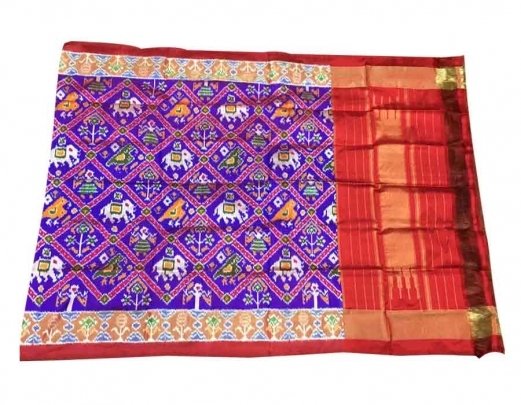 Ikkat Violet colored Silk Handloom Duppatta with beautiful Elephant patterns on the body. 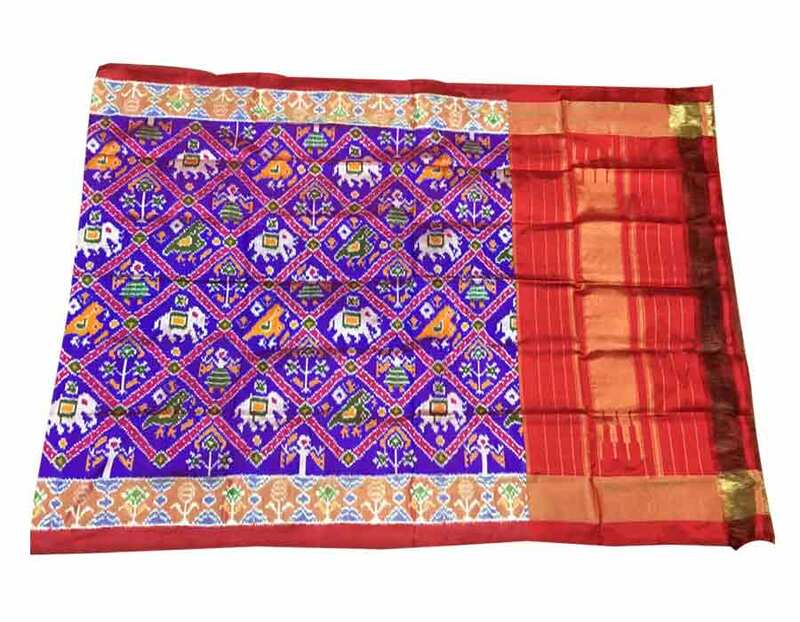 The contrasting Red colored border adds an extra beauty to the Duppatta. Pair this Duppatta with Dress of your choice.